This week, Your News to Know brings you the top stories involving the gold market and the overall economy. 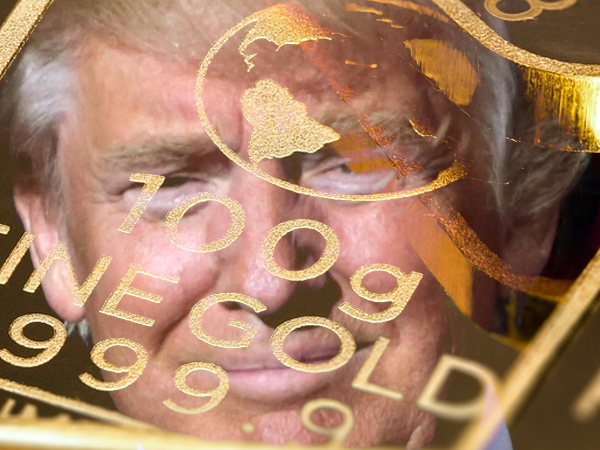 Stories include: Trump’s saber-rattling is why you should own gold, gold is worthy of greater attention, and why gold will rally imminently. According to MarketWatch contributor Howard Gold, those wanting a reason to invest in gold should look no further than Trump’s handling of the North Korea situation. Trump’s stance on the Asian nation is unprecedented – whereas his predecessors did their best to lower the chance of conflict, President Trump seems to actively seek it. Just recently, Trump threatened destruction to North Korea’s foreign minister and contradicted Secretary of State Rex Tillerson by saying that negotiations with the nation are a waste of time. It is this battle stance that has Howard convinced Trump has done more for gold than anyone since Richard Nixon ended the gold standard. In Howard’s opinion, President Trump’s attitude towards Iran further bolsters the case for gold. Although the risk of nuclear war with the Islamic Republic isn’t as palpable as with North Korea, Trump continues to create tension by criticizing the Iran nuclear agreement, which is designed to keep the latter’s nuclear arsenal in check. To Howard, Trump’s feuding with these two nations should serve as more than enough incentive for any person to allocate at least 5% of their portfolio to physical gold. He places the chance of war on the Korean peninsula between 25%-50% and the chance of nuclear war in Asia between 10%-20%. Should these odds prove correct, everyone will want to own bullion sooner rather than later. Despite a recent dip in prices, Bloomberg Intelligence analyst Mike McGlone believes gold is deserving of greater attention due to the metal’s performance against stocks. Both markets have gained roughly 20% since the beginning of the Fed’s tightening cycle in 2015, yet most headlines focus exclusively on stocks. To McGlone, the fact that gold can outperform a record-setting stock market translates to promising things in the metal’s future. McGlone expects the metal to hold support above $1,250-$1,260 an ounce and blames the September move below $1,300 on a momentary recovery in the dollar. While his report states that a sustained dollar recovery is the biggest danger to gold prices, few expect the greenback to show strength over the long term. Experts are convinced that the Federal Reserve will hike rates in December even if it might not be prudent. Although higher rates tend to pave the way for a stronger dollar, Elderberry Investments believes that gold will nonetheless remain in a favorable spot, due to multiple factors. In preparation for an incoming hike, financial institutions have already begun raising their lending rates to meet capital requirements in an environment with less money supply. Elderberry notes that raising the Prime Rate creates a ripple effect in the market, with mortgage rates going up as a result. This effect is already evident in a burst of pre-hike mortgage applications followed by a downtrend as banks begin to heighten rates. The massive amount of debt that companies incurred in a low-rate environment will suddenly become more costly, which could put significant downwards pressure on the U.S. economy, Elderberry argues. Not to mention pension funds could also sustain major losses if the Fed puts its recent hawkish tone into action. What some are calling “trade wars” in the wake of President Trump assuming office poses another risk: disputes over meat, dairy and lumber imported from Canada and Mexico, two of the biggest exporters of said goods to the U.S., are becoming a cause of concern and could end up harming U.S. agriculture. The recently-announced tariff on imported Canadian jets, and the follow-up by U.K. Prime Minister Theresa May in which she hinted at doing the same with U.S. jet exports, serves to further complicate already-strained trade relations. Bolstered by the brewing conflict between the U.S. and North Korea, Elderberry believes that these risks make gold an appealing hedge and create an opportunity to post a strong profit in 2018 by investing in the metal.